QWICKBUILD is an innovative, durable, and extremely versatile sub-frame structure which replaces traditional building materials with marine grade aluminium frames and stainless steel clips. 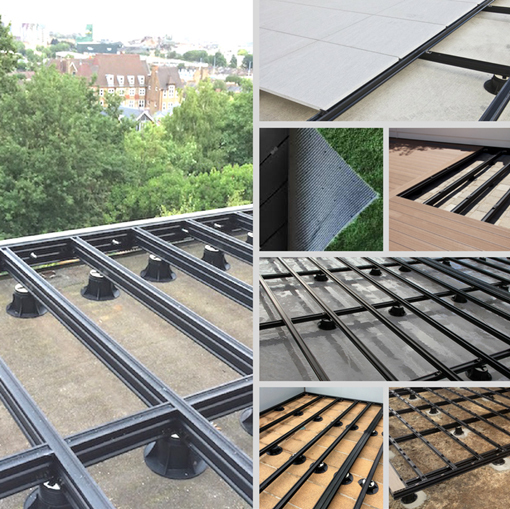 The QWICKBUILD subframe system can be used to support: composite decking, hardwood decks, structural tiles, and turf. Furthermore, the systems enables a straight and even structure over: grass, soil, concrete, pavers, existing tiles, and waterproof membrane. When installed with our composite decking boards, QWICKBUILD is the first decking system to eliminate screws for fastening the boards to the frame: instead a clever design of stainless steel clips is utilised to make sure the boards are securely in place but not permanently fixed to the frame, leaving no visual screw heads once the project is complete and allowing easy inspection of the structure without causing any costly damage. This decking solution also reassures that the correct amount of ventilation is always present to keep your deck looking fresh for a very long time with little maintenance. QWICKBUILD offers a rigid, dimensional stable structure for fastening your desired hardwood timber to. It caters for any thickness timber, be it from 19mm – 32mm thick and narrow 90mm boards through to 150mm wide boards. The size of the gap between the boards is your choice. We have designed a range of screws specifically for fastening hardwoods to QWICKBUILD. Additionally, we have a matching screw range for fastening hardwoods to traditional timber framing. Long, straight framing allows for fast installation of tiles. Supplied as either prefabricated, made-to-measure frames and accessories or loose components to be assembled on site. Fastened with concealed clip system and no adhesives, grouting, sealers are required. Quick to install over existing cracked concrete pavers or tiled areas and easily repositioned and levelled. Uses less jacks and is fast and easy to install making it equivalent in cost to traditional methods. The QWICKBUILD tile system is very low maintenance and long-lasting adding to your cost savings. Compared to traditional turf installation on compacted rock, you can now eliminate cumbersome and time-consuming processes such as earthmoving, retaining, backfilling, layering and compacting. Create stunning, weather-proofed outdoor spaces in a fraction of the time and effort. The engineered design offers a complete solution to creating beautiful turfed areas above ground level, over concrete slabs, waterproof membranes, existing tiles/pavers or grass or soil. Install on QWICKBUILD aluminium deck frame with our patented, turf base-board. 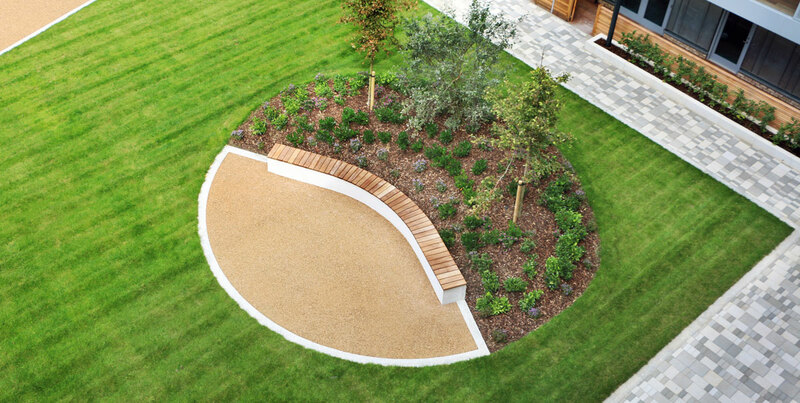 Use as a standalone turf solution or integrate with a combination of decking and tiles for a truly bespoke solution.